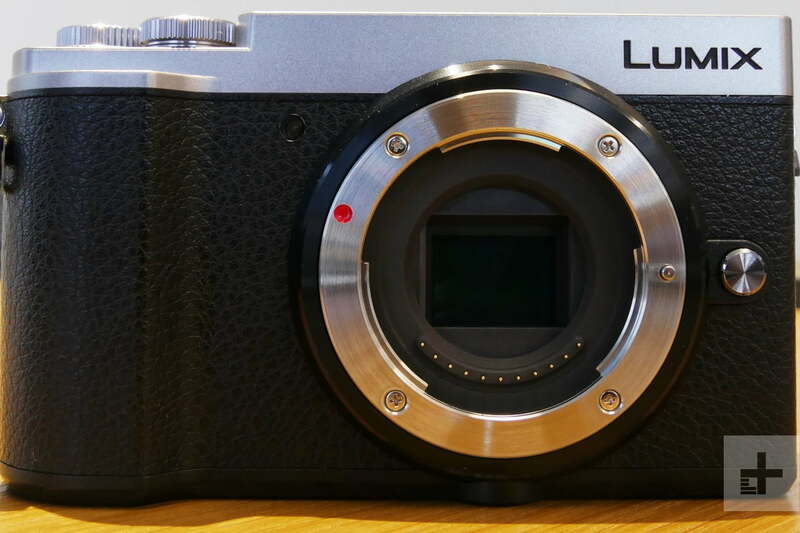 A 4K-capable sensor inside a Panasonic Lumix GX9. The company has developed the industry’s first organic sensor with a global shutter, capable of shooting 8K or 36-megapixel images. Global shutters and organic sensors hold the promise of less distortion and higher dynamic range, but the limitations of both have prevented the tech from entering high-resolution cameras. That could change, however, as Panasonic mixes both features in an industry-first organic sensor with a global shutter announced on February 14. Oh, and it shoots 8K or 36-megapixel images, too. Global shutters prevent distortion at high speeds by exposing the entire image sensor at once. Traditional physical shutters are fast, but the movement of physically pulling them out of the way exposes different portions of the sensor before others, making fast-moving objects appear to lean because of that difference. Global shutters negate that distortion because the entire sensor is exposed at once — but there’s a problem. The only global sensors around are about one megapixel. (This set of Sony global shutter sensors, for example, has a 1.58-megapixel resolution). Panasonic, however, says it has now managed to create a sensor with a 38-megapixel resolution that can shoot 8K video at 60 fps, all while using a global shutter. So how did Panasonic make the jump from one to 36 megapixels? By mixing it with another technology that’s still in its infancy — organic sensors. Unlike a traditional CMOS sensor, an organic sensor has one layer for a photoconductive film that captures the light and a separate layer of circuitry for storing the charges created when the light hits the sensor. The change makes the sensors capable of capturing a wider range of light and deeper colors. Along with that different design, the camera can control the sensitivity of the organic sensor by adjusting the voltage sent to the sensor. That ability to control the voltage sent to the sensor allowed Panasonic to mix the global shutter with the organic sensor design. Panasonic explains that a global shutter on a traditional sensor requires more transfer circuits and storage capacitors for every pixel group in order to expose the sensor all at once. With each group of pixels requiring dedicated hardware, the resolution has to be limited because of a lack of space. An organic sensor’s design with a dedicated layer of circuitry, however, means the sensor’s circuitry doesn’t increase exponentially as the resolution increases. Without that extra hardware competing for space, the company was able to create a global shutter with a 36-megapixel resolution. While the global shutter and organic sensor design eliminate rolling shutter distortion and allow for a wider dynamic range, that’s not the end of the tech that Panasonic has managed to cram onto the sensor. Panasonic also developed a noise canceler that’s able to work at higher speeds than previous attempts to reduce grain in the image. The sensor also has two different modes, one for high sensitivity and another for high saturation that allows the sensor to capture a wider dynamic range in a single shot compared to traditional silicon-based sensors. The sensor also incorporates an electrical neutral density filter by adjusting that voltage, which would mean photographers wouldn’t have to carry around physical neutral density filters. Panasonic hasn’t said when the new sensor will be available, but the company says that the 8K 60 fps is designed for broadcast cameras, as well as surveillance, industrial inspection, and automotive cameras.